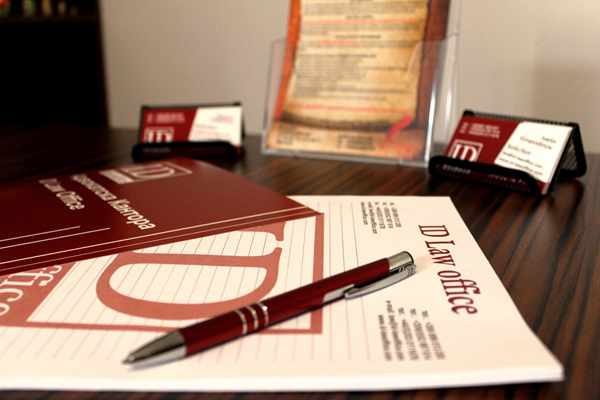 ID Law Office was founded in 2005 in Varna by the solicitors after whom the law office was named. The team of the office consists of four solicitors with huge experience, as each of us specializes in a certain area of the legislation. In course of time and due to the gathered experience we have developed professional skills that would meet expectations of our clients, because we are aware of each of our client’s need for an individual approach, strict confidentiality and personal responsibility. Our law office provides legal services to both individual and corporate clients and in our work we are taking into account the dynamics of the corporate business and the need for timely response and assistance. We also provide monthly subscription legal services for private persons and companies which meet their needs for timely legal assistance. Our law office and, in particular, senior partners and founders have many years experience in working with foreign clients, as we have developed the ability to find a successful solution for our clients’ problems. Having in mind the professional orientation of each of us, we have formed and are presently supporting a team of various specialists who can resolve any case in the best possible way. Our law office has performed a successful legal defence of a number of our customers. Several accountants and an auditor with extensive professional experience, building engineers and architects, real estate market consultants, experts and other specialists are among partners of our law office. Services that we provide to our clients are available in English, Russian and Greek, as we are aiming to use all modern means of communication in order to ensure maximum availability and to be always in touch with our clients. 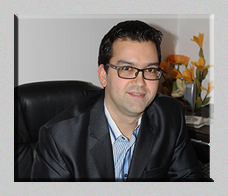 Solicitor Ivelin Simeonov Gospodinov is one of the founders and partners of ID Law office. He graduated the specialty “Jurisprudence” from the University of Veliko Tarnovo “St. St. Cyril and Methodius” in 2005. One year later he finished second university degree in the specialty “Philosophy” which helps him to the present day. During his public service period he got an opportunity to learn from the judges of Varna District Court and their experience helped him to create his own highly professional skills. During his professional career solicitor Gospodinov provided legal services to a number of corporate clients some of which are well-known international companies. Nevertheless he always claimed that that he accumulated his experience and knowledge while working with the individual/ personal clients. He enjoys personal meetings with the clients of the law office because of the possibility to go deeply into each specific case which is why he takes business trips as part of the work of a good lawyer. His interest in the field of the property law is a result of his many years of practice and experience as a legal advisor in one of the leading Bulgarian real estate agencies. During the last years solicitor Gospodinov is continuously expanding his expert knowledge through participation in various seminars and conferences in the field of the property legislation and enforcement proceedings. He wrote a series of articles whose topics were related to the Public Procurement Act, the Condominium Ownership Management Act, the Foreigners in the Republic of Bulgaria act as long as articles in the field of labour and social insurance legislation. He successfully works in the field of contract, family and inheritance law, as he has held a number of successful legal defences. Solicitor Gospodinov provides legal assistance and cooperates with other solicitors who need consultations. His creativity and analytical skills make him a good partner of his foreign clients who need help of a young, ambitious and knowledgeable lawyer in Bulgaria. 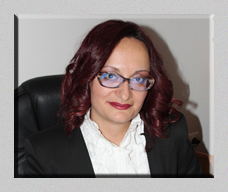 Solicitor Dilyana Stefanova Todorova is one of the founders and partners of ID Law office. She graduated the specialty “Jurisprudence” from the Varna Free University “Chernorizets Hrabar” in 2005. During the last two years of her study she worked as an intern in a well-known Varna law office that helped her to gain practical skills and prepared her for the legal profession before the end of university education. Varna District Court where she spent her public service period was the place where her interest in the trade legislation has arisen. This interest deepened and was further developed after foundation of ID Law office through participation in various seminars and training courses. Her excellent language skills allow solicitor Todorova to use international regulations, which subsequently allowed her to develop her skills in international law and international trade transactions. She leads a team that executed a successful merger of a famous Irish and Bulgarian transport company. She participates in the legal services of a number of Bulgarian companies engaged in trade outside Bulgaria. She also successfully performs all kind of procedures according to the Commercial Register Act, including such with international element. Solicitor Dilyana Stefanova Todorova held a number of liquidation procedures, as she personally was liquidator of many trade companies. She participates and consults clients regarding the insolvency proceedings. Solicitor Todorova provides legal services regarding contract, family and inheritance law to the foreign and Bulgarian clients as after acceptation of Bulgaria to the European Union she applies not only Bulgarian but also European directives. She implements and provides procedural representation in the court. She was trained and certified as professional mediator practitioner and is registered in the Unified Register of Mediators in Bulgaria. Knowledge and experience accumulated by solicitor Todorova make her an analytical, creative lawyer who can meet the challenges of the legal profession and who is trusted by Bulgarian and foreign clients of ID Law office. Ivaylo Stoymirov Slavov is the legal adviser at ID Law office. He joined the team of the law office in 2013 as presently he serves the central northern Bulgaria area. He graduated the speciality “Jurisprudence” from the University of Veliko Tarnovo “St. St. Cyril and Methodius” in 2006. After that he created his own business that was led by and successfully sold by him in 2011. 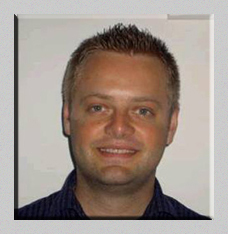 He works and provides consultations in the field of the real estate as most of his clients are English-speaking. He also participated in real estate market seminars conducted in the UK, Austria and Bulgaria. Presently he is strongly interested in bank and insurance legislation. 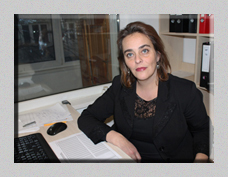 Galina Chankovy Doncheva is the legal adviser at ID Law office the team of which she joined in 2014. She graduated the speciality “Jurisprudence” from the University of Veliko Tarnovo “St. St. Cyril and Methodius” in 2007 and received the legal capacity in 2008. She passed through a program for specialization in Financial and Tax legislation at the University of Thessalonica “Aristotle” and worked as a legal assistant at a large Greek law office during her specialization in Greece. After returning to Bulgaria she works mostly with Greek-speaking clients as she provides legal advices in the field of property and contract legislation. 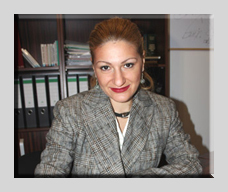 She consults Greek construction and energetic projects in Bulgaria. Presently she is strongly interested in international trade transactions, patents and intellectual property law. Tanya Hristova Trifonova is the chief accountant of ID Law office since 2008. She is certified accountant since 1992. Her assistant accountant who is engaged in preparing of the current and operational accounting is helping Tanya Trifonova in her work. In her rich practice she has experience in auditing companies in connection with their merger, division and liquidation. Except the current accounting of the law office Tanya Trifonova also provides accountancy services for the law office’ clients. She provides representation and protection during inspections and audits by government regulatory bodies. She helps the solicitors of ID Law office regarding development of client business plans purposing optimization of customers’ expenses.